One of the most welcome signs of summer are the return of House Martins nesting under the house eaves. Unfortunately over the last ten years their numbers are down by half and no one seems to know why. In many cases the nature of our summers produces extremes of weather which has resulted in the mud used for their nests being of inferior quality and as a result nests falling down with disastrous results. 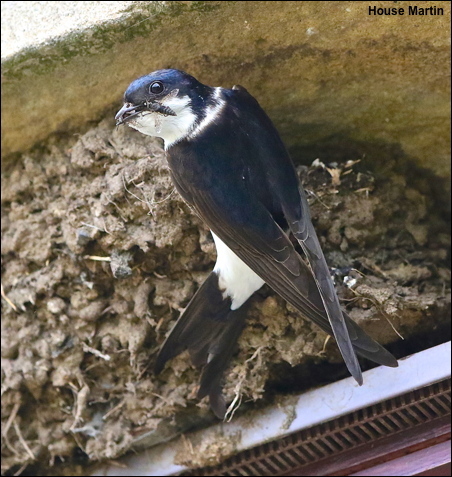 The erection of artificial nest-boxes for House Martins may well be one answer to the problem. Some years ago now I watched House Martins feeding young in a nest on our local estate in the last week of October – sadly these birds have long since gone.